How much does a typical wedding cost? We love organizing all kinds events and we work with a range of budgets. In order to host a wedding similar to the ones featured on our website and blog we advise to plan for a budget in the range of 1000€ per person, especially if there will be multiple wedding events. What sets Fête in France apart? 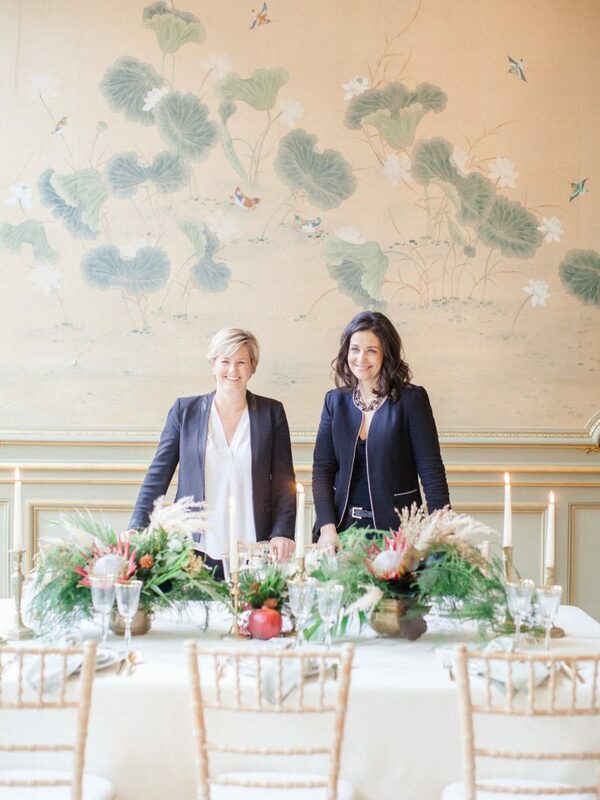 After 11 years in the industry and more than 300 events, Fête in France possesses a breadth and depth of experience as event planners in France. From luxury palace hotels with resources at the ready to exclusive private chateaux where everything, including electricity, needs to be brought in, we’ve seen it all. Our clients value our professionalism and American-style customer service, the fact that we’re completely bilingual in French and we keep our cool under pressure. We have earned the appreciation of our clients and gained respect within the industry as providers of a luxury experience through exceptional service. How do I plan a wedding in France? Planning a wedding abroad can be intimidating! The language and cultural differences can be at best confusing and at worst frustrating, on top of the regular stress of planning a wedding. There are many resources to point you in the right direction of who to work with for your wedding in France – directories, blogs and magazines all list out the best of the best. But if you’ve never planned a wedding before, it’s not always easy to know how to achieve your vision. We like to use the following analogy because we’re obsessed with food(! ): French markets are overflowing with amazing produce, meat, seafood, cheeses… You have access to the very same markets where accomplished, experienced chefs do their shopping. You could pick the exact same ingredients, roll up your sleeves, and get to work in the kitchen. When it’s time for dinner you might be a bit tired and a bit frazzled, you’ve put a lot of time and effort into creating a menu, doing the shopping, prepping the food, cooking everything, setting the table… and of course there’s all of the clean-up. On the other hand, you could decide to go out to a gourmet restaurant, where the ambiance envelops you as soon as you walk through the door: you’re guided through the curated choices on the food and wine menus, catered to by the attentive staff, enchanted by the refined decor… and all you have to do is to show up dressed for the part and enjoy the experience.